Recessed lighting are light fixtures recessed inside the ceiling. A housing holds the light, which doesn’t extend past the plane of the ceiling and yet still allows the light to shine in the room. (In some cases, recessed lighting can be found in the walls instead of the ceiling, but the principle remains the same.) A Hartford electrical professional can install recessed lighting with a minimum of fuss and effort, but assuming that recessed lighting matches the aesthetics of your home, you can enjoy a number of tangible benefits on top of that. Space: Because recessed lights don’t extend down into the room space, they make the room feel bigger and more open. That can come as a great boon in a house with cramped rooms, and since recessed lighting doesn’t cut down on illumination capacity, you don’t lose anything in the exchange. No cords: While lamps and other forms of lighting can be easily moved, there is no getting away from the electrical cords which have to be run to the nearest electrical outlet. Recessed lights eliminate that concern. The wiring is all inside the walls and you need only flip the switch to turn them on. Decor: Recessed provide excellent illumination while staying almost invisible themselves. If can make a room seem clean and uncluttered, while at the same time highlighting artwork or key features of a room. That makes them an excellent choice for many rooms in your home. The advantages of installing recessed lighting won’t work for every space, but that doesn’t eliminate many of their benefits, and speaking to a Hartford electrical expert can help make your options clear. 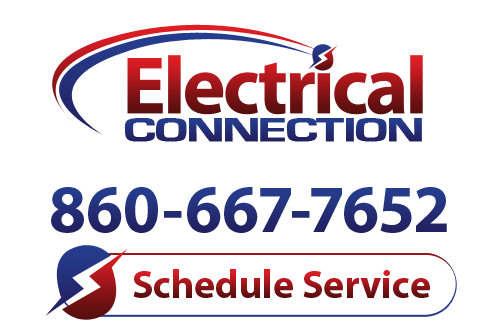 The experts at Electrical Connection, Inc. can talk to you about your choices and install a lighting system that works best for your needs. Pick up the phone and give us a call today.